So, you want to boost the functionality of your bathroom. But you are not sure this is the right time for a bathroom remodel. You may also find some design ideas confusing as to which fit your homes style and budget. 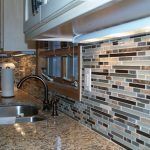 Also, you may be questioning should you DIY, or hire a licensed remodeling contractor in Minnesota. All your concerns are valid. 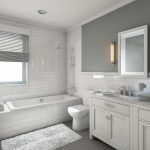 Even if your bathroom is a relatively small part of your whole house square footage, you might need to spend a more per square foot for a complete renovation. If you want to add all the advanced features, and high end materials you are going to spend more than low quality for sure. Therefore, you should start with proper planning. Also, be mindful of your budget. If you do not plan properly, and be wise about material choices, you are going to exceed your budget. Consult a professional with recent experience to find the choices that are right for your home and bring the most value. 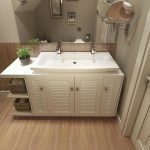 When is the Right Time for Bathroom Remodeling? That will certainly depend on your bathroom conditions and your personal preference. People normally consider a remodeling when they are having functionality issues. However, you can also consider a remodeling to boost the functionality with a few additions. Here are some conditions that might inspire you to remodel your bathroom. The lighting is poor and outdated. Water or sealing issues. Out-dated design, styles or materials. You are not satisfied with the function (adding a second sink, for example). Plumbing issues, or you simply want a new up-to-date style. These conditions can make you think of bathroom remodeling. If you are planning to remodel, you first, will have to figure your budget. Your budget will ultimately determine the balance of function, materials, fixtures and some aspects of style for your remodel. You will find a number of benefits. There will be no functionality and plumbing issues. You are going to love to use your bathrooms with the new look. A few other benefits are the following. Increased property value and appeal. Reflects your lifestyle and unique style. Increased functionality, use of space, and an enhanced and modern look and feel. We spend more time than realized in our bathrooms. Making it a more comfortable and functional space will immediately increase its appeal and warmth. What will be it’s primary function or focus? What materials do you prefer? What style of fixtures will compliment the bathroom as well as blend with the current home style? Is the budget firm, or flexible for your ideal remodel? For the best outcome, you should consider hiring a remodeling contractor. 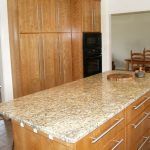 An experienced professional can help you to choose the appropriate materials, fixtures and can make other suggestions you may not have otherwise known about.